It’s officially summer, which means longer days, warmer weather, and of course outdoor imbibing at picnics and barbecues! Whether you’re laying by the pool or or sticking to the shade, these refreshing cocktails are the perfect choice to cool you down as you kick back and relax this season. Fill a glass with ice. Pour Jameson over ice. Fill with ginger ale. Stir briefly. Squeeze lime wedge and drop into glass. 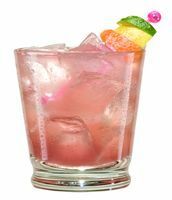 The Malibu Passion Breeze – perfect for summer! Add ice cubes to a chilled highball glass. Add Malibu, cranberry juice and pineapple juice. Garnish with lime wedge. Fill a mule mug with ice cubes. Add all ingredients. Garnish with lime.